I first encountered Dale Chihuly when we visited the RISD Museum in Providence, and I was completely mesmerized by his chandelier installation hanging above a spiral staircase. 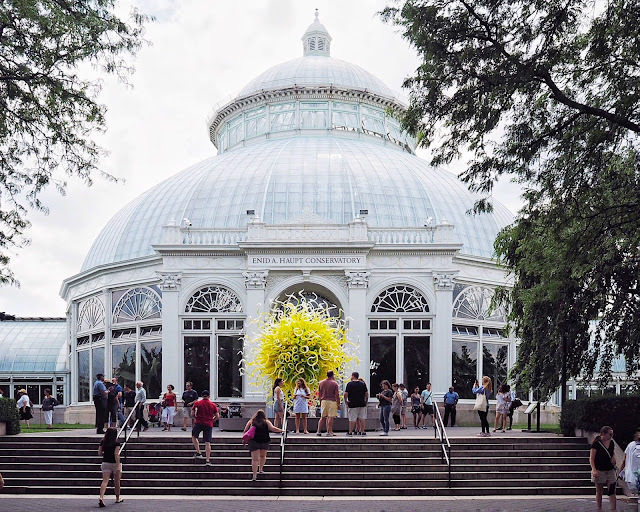 An American pioneer artist known for his large-scale glass sculptures that are both magnificent to behold and technically difficult to install, Chihuly's lifelong fascination with glasshouses has led to a series of exhibitions in botanical settings. 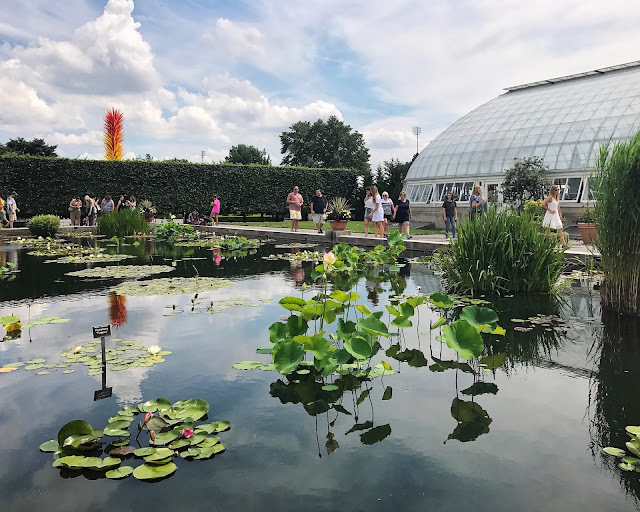 More than 20 installations including his earlier works and drawings are now on view at his first major exhibition in New York in over a decade, showcasing the evolution and development of his career against the dramatic vistas of the New York Botanical Garden. It is the perfect weekend activity if you want to get away from the city for a couple of hours, and you will leave with a bunch of incredible Insta-worthy photos. 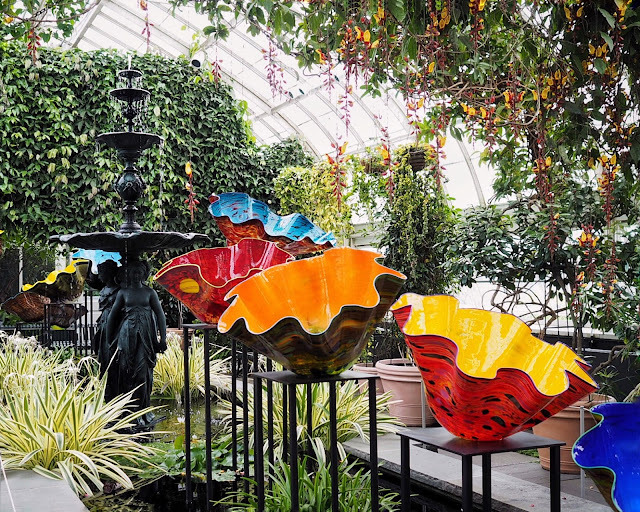 CHIHULY runs until Sunday, October 29 2017 at the New York Botanical Garden. You can get information for your visit here and purchase your All-Garden Pass here.